Just the right combination of humour, mayhem and sweetness to appeal to a broad audience. Whether or not it will work for romance readers remains to be seen. 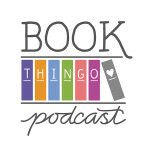 I have a special spot for romantic fiction from Text Publishing. This is the publisher who introduced me to Krissy Kneen and Toni Jordan, so when I heard about The Rosie Project, I couldn’t wait to read it. This book has received some pretty spectacular attention, garnering local awards and becoming the Aussie darling of the Frankfurt Book Fair when Text sold it to 30 different territories. I admit to some ambivalence towards the book’s success. It’s fabulous to have an Australian author do so well, particularly for a locally set book in a genre that so rarely gets accolades from the literary establishment. But this is a romance written by a man, featuring a male protagonist, written in the first person, ostensibly in a genre that generally prides itself for being written by women for women. I don’t have anything against male romance—in fact, this type of book is right up my alley—but part of me resents that this type of a romance novel is marketed to be somehow more worthy of merit and attention, without the stigma of genre, than the novels regularly published under romance imprints. That aside, there’s no denying that this is a well-written book with just the right amount of humour, mayhem and sweetness to be enjoyable as well as satisfying. Genetics professor Don Tillman is an unconventional hero—meticulous, efficient, intelligent and socially inept. His only friends, married couple Gene and Claudia, who also provide therapy in an unofficial capacity, have attempted to help him but with dismal results. Gene and Claudia tried for a while to assist me with the Wife Problem. Unfortunately, their approach was based on the traditional dating paradigm, which I had previously abandoned on the basis that the probability of success did not justify the effort and negative experiences. I am thirty-nine years old, tall, fit and intelligent, with a relatively high status and above-average income as an associate professor. Logically, I should be attractive to a wide range of women. In the animal kingdom, I would succeed in reproducing. However, there is something about me that women find unappealing. I have never found it easy to make friends, and it seems that the deficiencies that caused this problem have also affected my attempts at romantic relationships. The Apricot Ice-cream Disaster is a good example. Don approaches the question of finding a life partner the same way he does the rest of his life—with logic and unrelenting focus. To maximise efficiency, he devises a comprehensive questionnaire with which he can screen prospective girlfriends. His attempt to use and then calibrate this new productivity tool is the stuff of romantic comedies. It helps that Don is, deep down, a nice guy, who is trying his best to find happiness in a world that he finds deeply puzzling. Even when he rejects the internet dating, speed dating and blind date candidates, it all seems very logical from his point of view, with no malice intended. All this careful planning is thrown into disarray when Rosie turns up at his office after Gene offers to screen Don’s candidates. Don assumes she passed the questionnaire, but after an evening that absolutely does not go to plan, he knows that Rosie is definitely unsuitable as wife material. Yet when Rosie confides to Don that she’s searching for her biological father, Don finds himself a willing participant in the Father Project, despite Rosie’s uncanny ability to disrupt his life. The Father Project challenges all of Don’s comfort zones. His daily schedule is constantly readjusted. He confronts ethical dilemmas. He travels to New York on a whim—three of the potential father candidates are located there—and agrees not to visit the American Museum of Natural History every day. He even contemplates giving up his academic career to become a part-owner of a cocktail bar. And all the while, he comes to realise that Rosie is an incredible person, despite her failure to meet the Wife Project criteria. Rosie took our champagne glasses to the bar to top them up. It was only 9.42 a.m. in Melbourne, but I was already on New York time. While she was gone, I flipped open my computer again and connected to the Museum of Natural History site. I would have to replan my visits. Rosie returned and immediately invaded my personal space. She shut the lid of the computer! Incredible. If I had done that to a student playing Angry Birds, I would have been in the Dean’s office the next day. In the university hierarchy, I am an associate professor and Rosie is a PhD student. I was entitled to some respect. …In less than fifteen minutes, my entire schedule had been torn apart, shattered, rendered redundant. Rosie had taken over. 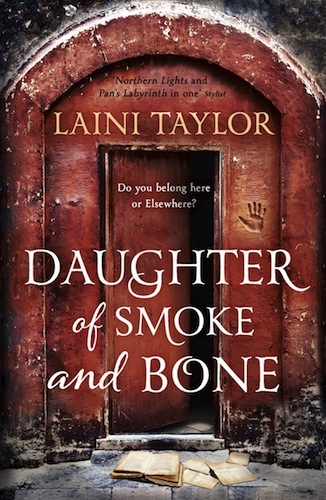 During a Twitter discussion about this book, @katydidinoz made the general comment that ‘the manic pixie dream girl doesn’t normally fly as well with genre readers’. Rosie does fit the mould, but author Graeme Simsion doesn’t over-emphasise these characteristics, and because the focus is less on how amazing and unique Rosie is and more on Don’s reactions to what she does, she never comes across as an easy stereotype. There’s so much to love about this book, and I sped through it, charmed and amused and sometimes appalled at Don’s adventures. But although I enjoyed the romance intellectually, I struggled with Don’s inability to emotionally connect with Rosie. Even towards the end, when he understands what love means for him, I felt distanced from Don. Despite the first-person POV, I was always conscious of being the reader, rather than feeling that I were in the story with the characters. And because Don is fairly self-absorbed for most of the narration, there’s only a very shallow sense of why Rosie comes to love him. To be fair, a socially inept romantic hero is never an easy beast. Even the most beloved of all such heroes, Christian from Laura Kinsale’s Flowers From The Storm, left me cold; more recently, I could barely get through Jennifer Ashley’s The Madness of Lord Ian Mackenzie (note that the link goes to Wandergurl’s review, and she loved it). Simsion does it as well as could be expected—I definitely liked Don much more than I did Christian or Ian. Outside of the romantic arc, Don is an excellent character study. 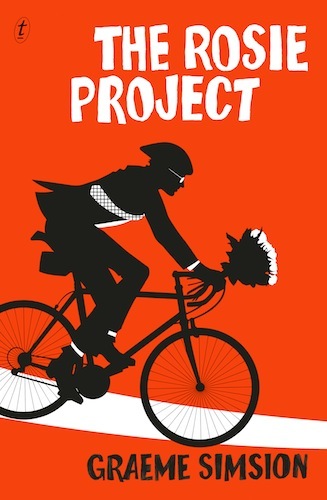 Despite the fact that a real-life Don would probably irritate the crap out of me, Simsion creates a wonderfully nuanced narrator for the story. There’s an underlying humour, even when Don doesn’t intend it, that softens his bluntness, and a guileless charm that allows the author to elicit sympathy from the reader even at Don’s worst displays of social incompetence. Gene told me the next day that I got it wrong. But he was not in a taxi, after an evening of total sensory overload, with the most beautiful woman in the world. I believed I did well. I detected the trick question. I wanted Rosie to like me, and I remembered her passionate statement about men treating women as objects. She was testing to see if I saw her as an object or as a person. Obviously the correct answer was the latter. ‘I haven’t really noticed,’ I told the most beautiful woman in the world. This book has the right combination of humour, mayhem and sweetness to appeal to a broad audience. Reading this book is fun, but it’s also filled with bits of science and observations that challenge conventional thinking. It’ll be interesting to see if it gets as much attention within the romance reading community. 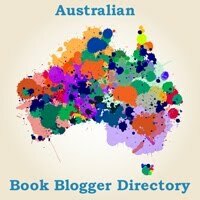 Tagged 2013 releases, australian authors, australian characters, australian romance, graeme simsion. There is getting to be a lot of hype about this book. At first I was going to let it slide on by, but I do think that I will give it a go! Seen this book advertised quite a bit and so decided to buy it, and definitely worth it! Great read, even if you’re not really into romance. Definitely recommend. It’s definitely had a lot of marketing behind it. Glad you liked the book, Sam. has to be the best book I have read in age.s ! can’t wait for the movie. 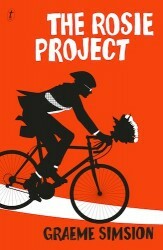 Rosie Project is charming, clever, engaging, memorable. I enjoyed it thoroughly. But I wonder if it had been written by a woman and marketed as a romance would it have been quite so celebrated. It has the classic structure of a romance with a couple of holes that traditional romance readers might not forgive, the underdevelopment of secondary characters including Rosie herself and the big one – why does Rosie fall for Don. We fall for Don – maybe – because we are inside his struggle, but he is the most challenging of characters and yet we get no real insight on why Rosie, of all women – agrees to take him on. On the issue of Disneyland, Rosie almost veers into too dumb to live territory. Her whole twisted adult existance focused on the breaking of one promise. And yet we forgive – because the whole package is cleverly, delightfully done. Ainslie — I can’t believe I missed your comment! The romance is the most disappointing aspect of the story for me. It’s terribly charming, though, and the writing is really good — I forgive a lot for just those two things! I can’t remember if I’ve asked you if you’ve read Addition by Toni Jordan? If so, I’d love to hear what you think about the similarities/differences between the two books. Kat – I haven’t read Addition. It’s in the pile though… I’ll let you know. Disappointed about the US too.